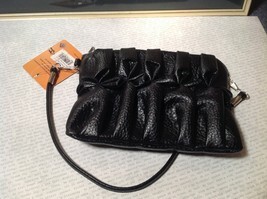 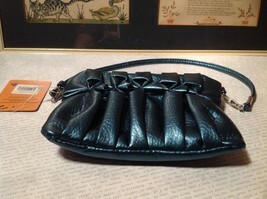 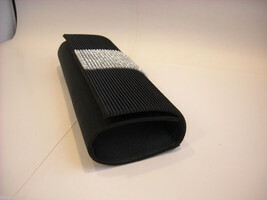 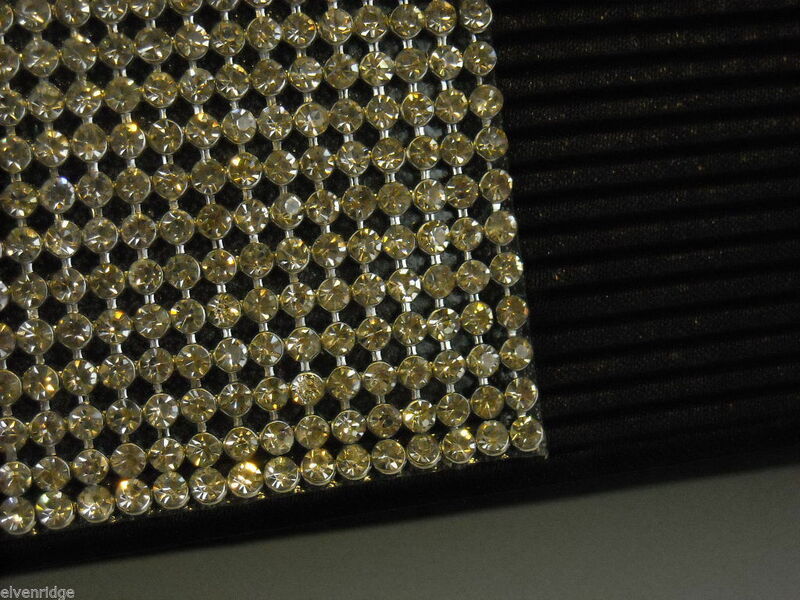 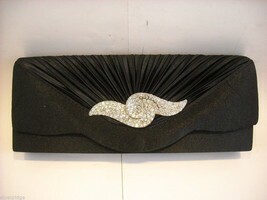 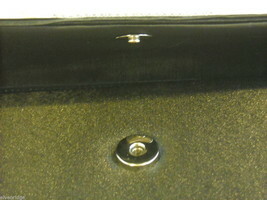 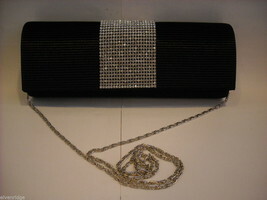 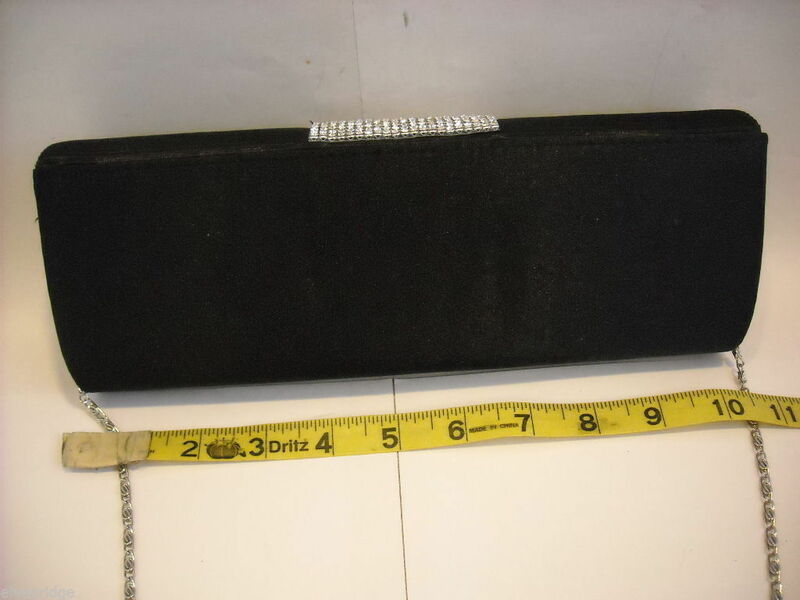 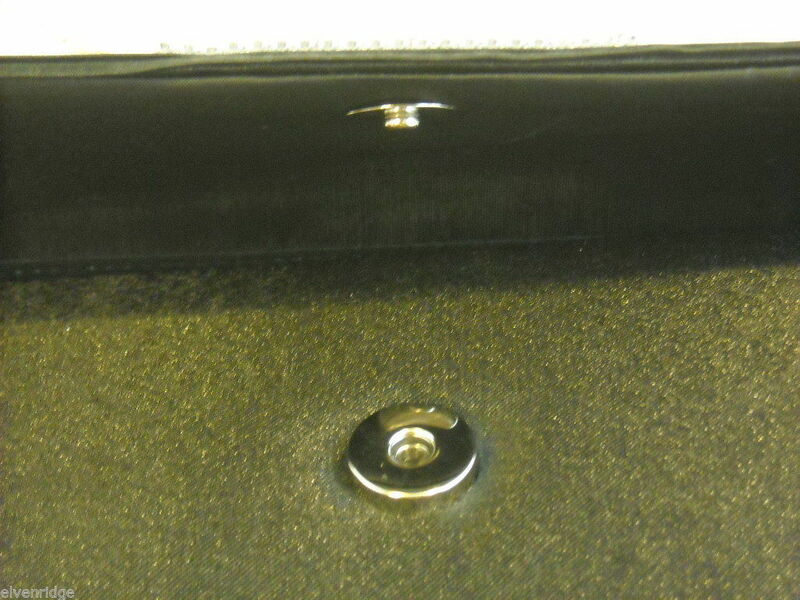 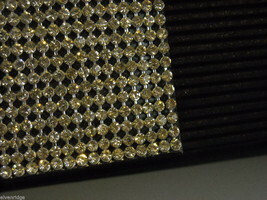 This is a rounded small black purse made of a satiny black fabric with pleats on the front flap and a large rectangle of rhinestones on the front flap. 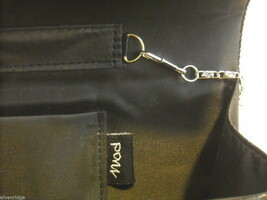 It has a magnetic closure and comes with an optional long silver chain shoulder strap. Tag says Mod. 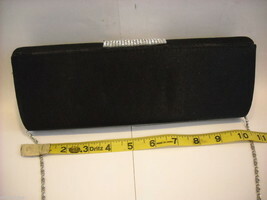 Measures 4"(H) x 10"(L) x 2 1/4"(W).